Overlooking the Whangarei Town Basin with its marina and award winning waterfront development, Distinction Whangarei Hotel & Conference Centre is just a few minutes walk from the city centre, theatres and scenic bush walks. The Bay of Islands is less than an hour’s drive and there are several golf courses set within close proximity to the hotel. The airport is a five minute drive. From meetings and working lunches to parties and weddings of up to 130 people, the two fully-equipped Whangarei conference rooms (Hatea and Marina Rooms) offer abundant natural light, air-conditioning and heating. The conference rooms are separated by concertina doors, ensuring privacy when needed or the rooms can be combined to create a larger space. When planning your catering we offer several different solutions and can tailor menus to suit dietary requirements and your budget. Refreshments are served in the conference room or alternatively a breakout area can be arranged. Dinner themes are a great way to make a statement or create a memorable evening and our conference team can supply detailed menus and theme ideas. 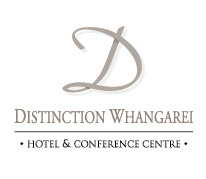 Distinction Whangarei offers 115 spacious, air-conditioned hotel rooms and suites. The facilities include a fully licensed lounge bar and restaurant, spa, gymnasium and indoor heated pool. An ideal venue for a wedding, social event or meeting. Contact our Conference Coordinator for further details, phone +64 9 430 4080 or email reservations@distinctionwhangarei.co.nz or click here to download Distinction Whangarei's full conference proposal. 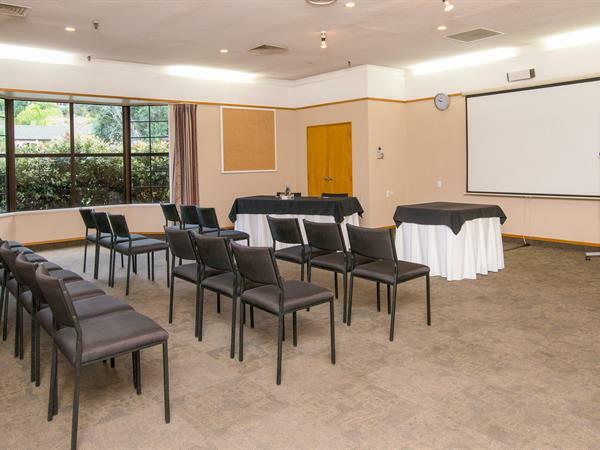 Boasting two fully-equipped conference rooms, Distinction Whangarei Hotel can cater for all manner of events, ranging from weddings and meetings to working lunches and parties.